How to know if Mosque is Shia or Sunni? I was researching to find some mosques in an area/state and came across one that provides Nikah services. When reading their document in terms of a Marriage contract, it had the word Shi'a in it and it made me wonder if the marriage contract/process is not a sunni process. how does one know if the marriage contract AND the mosque is of a sunni or shia sect? "...Shi’a Ithna-Asheri (Ja’fari) laws of Islam..."
It seems difficult to find a mosque who can perform a straight forward sunni Nikah. Does anyone know in the state of Washington or Portland if there sunni mosques who can perform interfaith marriages? Ask the Imam of the mosque if it is a Sunni or a Shia mosque. There are many mosques in both Washington and Portland. 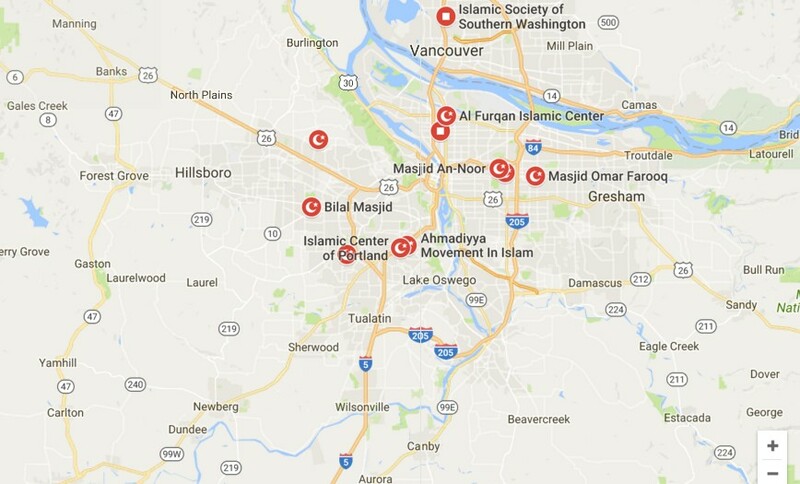 Search Google for "mosque in Washington Portland". You will get many results. Not the answer you're looking for? Browse other questions tagged nikah sunni shiism masjid or ask your own question. Can a Sunni Muslim offer prayers in a Shiite mosque? What are the principle/fundamental differences between Sunni and Shia? Can Shias pray at a Sunni mosque? How to convert from Shia to Sunni?